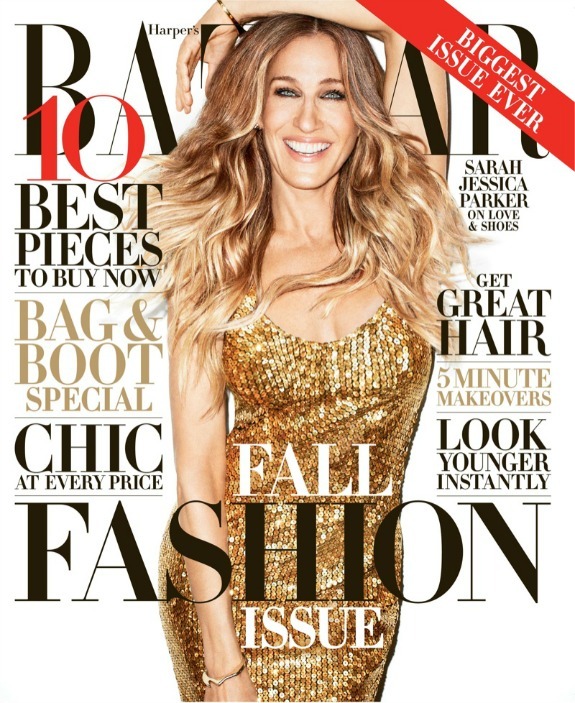 SJP shines (literally) on the September cover of Harper's Bazaar. I've featured her cover photo a couple of times (here and here) but simply couldn't resist sharing the images above from the fashion shoot. From the feather headpiece to the fringe dress to the sequin details, she commands your attention and follows it through to the end. Harper's has actually been my favorite fall fashion issue - regardless of my love for the cover girl. Read her fabulous interview here! I love SJP and the magazine cover is amazing! I haven't gotten my issue yet bc all my mail is being forwarded!! Can't wait to see it all! Girl can do no wrong! Just stunning. Her photoshoot in this was amazing. We were fighting over the Harper's September issues in the office. We all wanted them. She is incredible: successful, stylish, but so humble and genuine! She'll forever be my favorite celebrity and style icon! This September issue rocks!